I’m lazy today and don’t want to write much 🙂 so I thought I’d share some of our photos from our travels ten and five years ago. Sometimes it’s really fun to go down the memory lane! During February vacation in 2006 I took my son to Poland to spend some time with my parents. We went to Rabka, Poland, a small town popular with families because of its salt works (it’s a spa town). When my sister was hired as a stewardess by the Polish Airlines LOT back in the 1980s, before she flew anywhere she had to attend trainings not only about airplane layout and duties and responsibilities of her job, but also complete a training on proper make up and behavior. 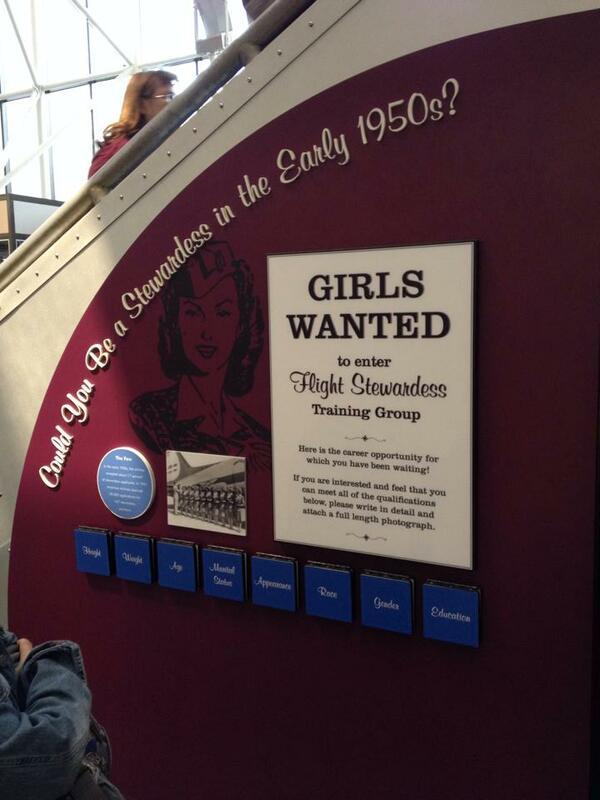 That’s why I stopped when I saw a big sign asking “Could You Be a Stewardess in the Early 1950s?” while wandering around the huge Smithsonian National Air and Space Museum in Washington, DC.